If you've ever used noise-canceling headphones, you know that the sound quality is definitely a consolation prize. But, what if you wanted to listen to music in proper quality and not have to deal with background noises like airplane sounds or road noise? 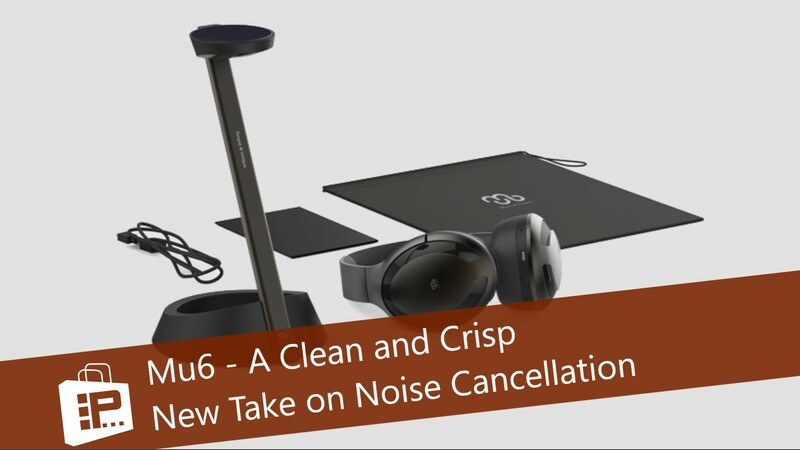 Well, the Mu6 headphones are here to help eliminate that problem. With sound quality in mind, Mu6 was designed to be an active noise canceling headphone with great sound reproduction. This means it is perfect for travel and the music lover. In addition to great sound, the headphones have got some unique capabilities. For example, if you are in a situation where the noise cancelation is turned on, but someone needs your attention (such as a flight attendant), simply put your left hand to your ear and you can hear all around you. In fact, it uses the built-in microphones to amplify only human voices, while lowering the volume on your music, making it easy to hear. If you need ambient sound for a longer period of time, you can turn on the Transparency Mode, which allows you to hear your whole environment, which is perfect for crossing a street. One of the most impressive features of the Mu6, however, is the optimized sound experience. Similar to being in a doctor's office, you follow through a series of hearing tests to determine your personal hearing profile. From there, the headphones are able to adjust the equalizer to your exact hearing, making the music sound the way it did for the producers. You can also adjust the equalizer for different genres of music. In addition to all of the exciting sound-related features, Mu6 also comes with a very styling and unique magnetic charging base. Simply put the headphones to the top of the stand and the magnets will pull it in to charge. When you're ready to leave, just pick them up and go. If you don't want to take the charger with you, you can also charge via a USB cable. All of this is included in the box. The Mu6 headphones are currently available on Indiegogo through December 7, 2018, with perks starting at $149.